Dauphinoise potatoes - home cooked food delivered. 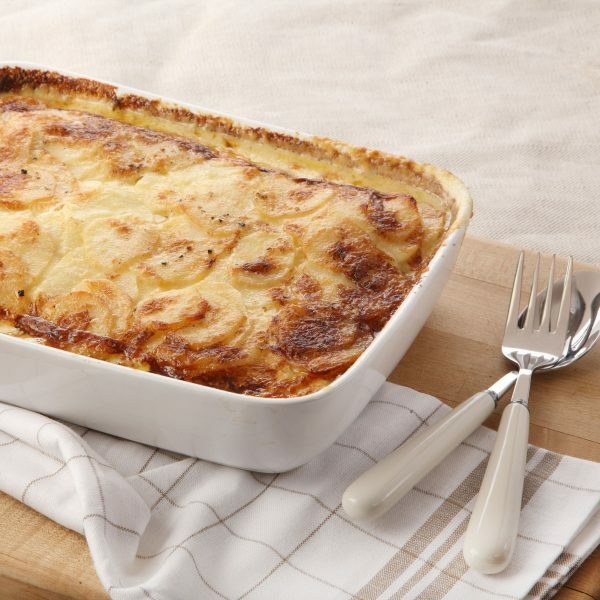 There may not be a more luxurious way to enjoy potatoes than this smooth, creamy bake created by the French nobility. 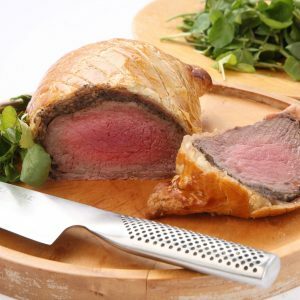 This is a wonderful addition to any dinner party, which will leave your guests thoroughly impressed and wanting more more more! Potatoes, garlic, cream (MILK) and seasoning. Remove outer packaging and place wooden box on a baking tray in a preheated oven at 180Â°C for approx. 35-40 mins. Ensure product is piping hot before serving.